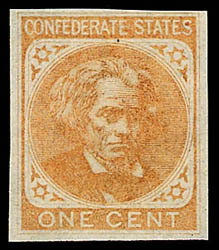 Confederacy, 1862, 1¢ orange, plate proof, large margins, bright and fresh, Very Fine; with photocopy of 1976 P.F. 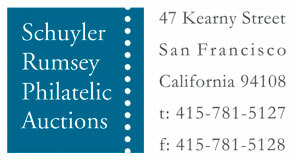 certificate for sheet of 200 from which this example originates. Scott No. 14P5 Estimate $400 - 600.